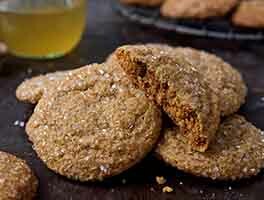 Molasses cookies are surely the most ubiquitous cookie in any New England cookbook you happen to leaf through. They're more venerable than those newcomers, Toll House (chocolate chip) cookies which, after all, are only about 65 years old. The addition of rum to these spicy cookies helps keep them soft, and also qualifies them for a special name: Joe Froggers. Legend has it that an old man named Joe, who lived by a frog pond in Marblehead, Massachusetts, was famous for his chewy molasses cookies. 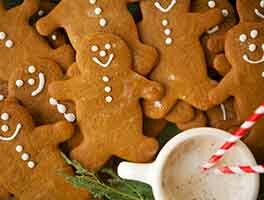 One day, in thanks to a neighbor for the gift of a jug of rum, he added some of that spirit to a batch of his molasses cookie dough, then gave the cookies to the generous neighbor. Eureka! 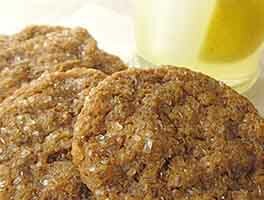 A rum-laced molasses cookie that quickly earned a great reputation around town and was christened with the name of its creator. 11 mins. to 12 mins. 2 dozen 2 1/2" cookies. Preheat the oven to 375°F. Lightly grease (or line with parchment) a baking sheet. Whisk together the flour, spices, salt and baking soda, and set aside. In a large bowl, beat together the butter and sugar, then beat in the molasses. Add the dry ingredients alternately with the rum. Scoop out round balls of dough about 1 1/2" in diameter; a tablespoon cookie scoop works well here. Place the balls on a baking sheet. Bake the cookies for 11 to 12 minutes, until they crack on top but haven't yet browned around the edges. To keep these cookies soft, we recommend storing them in an airtight container (a plastic bag is fine) as soon as they're just barely warm. Add a couple of slices of cut apple if you plan on keeping them around long. If you're looking for a flatter, larger-diameter cookie, gently flatten each dough ball with lightly greased hands before baking. Mine didn't spread at all, and my husband measured the flour carefully using the "fluff, etc" method. Would adding an egg to the batter help? These turned out perfect! After reading the comments, I was careful when measuring the flour and they were done at 10 minutes. Crackly tops, crispy edges and a soft, chewy middle. Won't change a thing! I brewed a strong vanilla chai (2 teabags in 3/4 cup water) to use in place of the rum. It worked beautifully, if anyone wants to sub it out. This is my first KAF recipe, so I followed it to the letter. (I also tried the hard molasses cookies.) Like others, I found that these cookies didn't spread as much as the hard cookies. Using a maroon cookie scoop. I got 3 dozen roughly 2" cookies, whereas using the same scoop, got 3 dozen 3" hard molasses cookies. This is not a complaint. I thought the cookies were fantastic. They were nicely soft in the center, with a little firmer outside. I baked them the full 12 minutes, but may try a little shorter on the next run. My wife wasn't crazy about the rum flavoring, but that just leaves more cookies for me! I will definitely be making them often, and will not change a thing! These cookies didn't spread for me. The texture of the cookie was fine but the flavor of the rum is too strong for me. I will stick to my Grandma's molasses cookie recipe. I decided to try the recipe despite the mixed reviews. They did not spread out like the picture shows however, the taste and texture were good. If you want a cookie that spreads out, this is probably not suitable for what you're looking for. 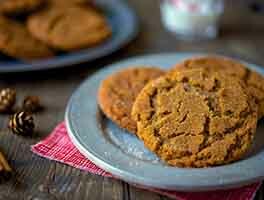 The picture looks more like a gingersnap than a molasses cookie. The flavour however is good so if you're ok with them not spreading out I would recommend it. Also, I made a batch with Kahlua as I ran out of rum and they also turned out really good. I was disappointed with this recipe. Like other reviewers my cookies did not spread when baked and it was hard to tell when they were done as they didn't look anything like the photo shown. 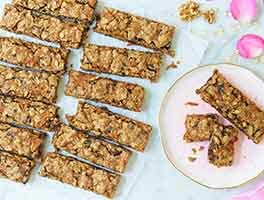 I've baked a lot of recipes off of King Arthur's website and it is my go-to site for baked goods, and before this I've always been very pleased with the results. I would pass on this one. Followed the recipe exactly and used new bottles of spices from Penzeys. Cookies did not spread or crack. Flavor was flat. Glad I didn't double the recipe. My only failed recipe from King Arthur. I made these for a cookie exchange and everyone loved them. Great with a cup of coffee. Excellent flavor and easy to make. I used spiced rum instead of dark. 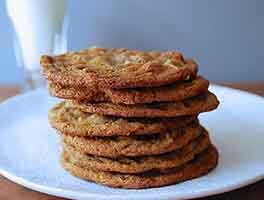 The cookies are soft and flavorful. Mine did not spread, so I patted the dough down on the following batches.